How to establish a credit history and build a great credit score. Many young people ask me, How do I even get a credit score? They have no credit history, which makes it difficult to obtain credit, so it appears they are in a tough no-win situation. Here are some ways to establish credit. Obtain a credit card from a local department store. Plan to spend a certain amount at that store using a written spending plan. Purchase the item at the store using the credit card. As soon as the credit card transaction is completed, tell the checkout clerk that you want to make a credit card payment. Immediately pay off the credit card. Making purchases like this once or twice each month can really lead to a great credit score. This impacts the credit score in several positive ways. The age of the credit relationship increases. Payment timeliness receives another good mark. Over time, the credit card issuer will most likely increase the credit limit because they will see that you have managed your smaller credit limit well. As a result, your percent of available credit utilized will decrease. This bodes well for your FICO score. If you do not qualify for an unsecured credit card, you can apply for a secured credit card. A secured credit card works in the following manner. The credit card company requires you to have money in an account that they provide. The credit card company prevents your use of this money by placing it on hold. If you fail to pay the credit card payments, the credit card company will use these funds to satisfy the debt. I must issue a strong warning. 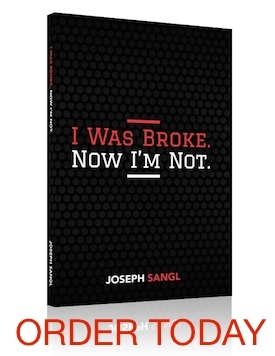 NONE of these credit-building techniques will work well financially if you do not apply the rest of the learnings in this book. If you obtain a credit card, run up a balance, fail to pay it off immediately, and end up paying compound interest to the bank. You might end up with a great credit score, but you will be losing financially. I have met many people who have an OUTSTANDING credit score, but they are flat broke. They have financed themselves to oblivion, but have managed to pay their payments on time. One minor event can lead to financial ruin for these individuals, and I have seen this happen hundreds of times.